Henry Cavill is an English actor, known for playing Clark Kent / Superman. 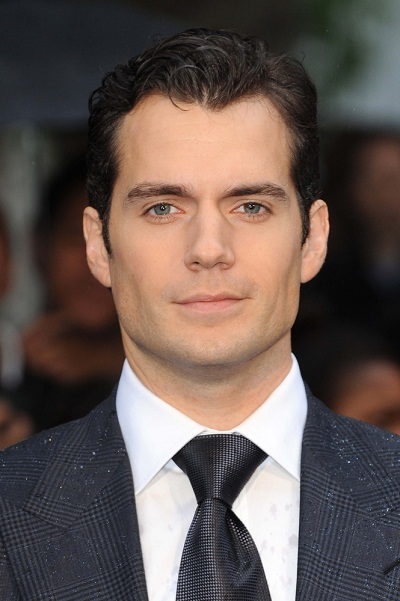 His father, Colin Cavill, is English-born, and of English descent. His mother, Marianne (Dalgliesh), is from Jersey, in the Channel Islands (where Henry was born and raised). Henry’s maternal grandfather had English and Scottish ancestry, while Henry’s maternal grandmother was Irish. Henry’s paternal grandfather was Richard Cavill (the son of John William Cavill and Ellen Agnes Saunders). John was born in Yorkshire, the son of William Cavill and Margaret Lydia Crampton; Margaret was born in Malta, to English parents, George Crampton and Ann Cronk. Henry’s great-grandmother Ellen was the daughter of Richard Saunders and Mary Ann Minards. Henry’s paternal grandmother was Gladys Jesse May Smith (the daughter of Henry Smith and Julia Simmonds or Western). Henry’s great-grandfather Henry Smith was the son of William Smith and Sarah. Henry’s maternal grandfather was Alan Gardner Dalgliesh (the son of Percy Dalgliesh and Marianne Pringle Gardner). Henry’s grandfather Alan was born in Guatemala, to an English-born father and a Scottish-born mother (both of Alan’s parents were of mixed Scottish and English ancestry). Percy was the son of James Dalgliesh and Lucy Booth Hadfield. Marianne was the daughter of John Neilson Gardner and Marianne Pringle. Henry’s maternal grandmother was Mary Kathleen O’Donnell (the daughter of John O’Donnell and Elizabeth “Lizzie” McPhillips). Henry’s grandmother Mary Kathleen was Irish, born in County Monaghan. John was the son of James O’Donnell and Mary Cullen. Elizabeth was the daughter of Patrick McPhillips and Anne Coyle. He is not Channel Islander ?? It is an ethnicity, kind of like French. Cavill isn’t of Islander descent, though.